In the article, Nakajima talks about how the early period for a group is when everyone is getting angry at these newcomers and how that’s when their skills are improving the fastest, but that’s not the point. The reason these newer members are quitting so soon is because they lose all hope because of the constant routine of handshake events and having to perform at tiny clubs. I agree that quitting after just a year is the same as running away. But five years? That’s more than enough. (laughs) Being an idol for 10 or 15 years is way weirder. Two years should be the minimum. But if you include their time in the Kenshuusei, most members’ careers are actually quite long. Five years can pass by in the blink of an eye. I think what she’s talking about is the time after their major debut, hence the clashing opinions. I suppose she might have a point, considering how members are now leaving H!P faster than there are new ones joining in. What she’s basically saying is: it’s only after five years in this line of work that it really gets enjoyable, so you need to just bear it until then. Nacky is someone who truly takes pride in her work. Well said, Nacky. Her words have weight behind them. As a Country oshi, these words make me cry. 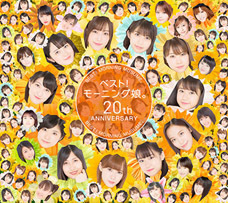 But… futsuu idol 10nen yatterannai desho? I don’t think there’s anything wrong with being an idol for five years and then graduating once you’ve discovered through that experience what it is that you really want to do in life. It’s completely different though being a member for five years starting from when you’re in elementary school — like the Kids — versus five years starting from when you’re in high school. Ichioka is debuting as a third year high school student… There’s no way she’s going to be an idol for five years. 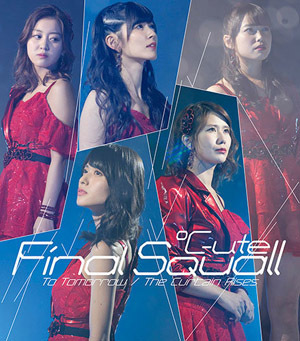 If Meguu had remained a member for five years after their major debut, I bet °C-ute as a group would’ve turned out completely different. Thing is though that the Kids along with the 5th and 6th gens were still basking in the afterglow of the Golden Era when they debuted, so they were constantly appearing on nationwide TV shows. It’s a completely different environment for the girls these days. °C-ute didn’t have to be doing handshake events when they were in their teens. I hate people who make thoughtless statements like this. I don’t think she’s criticizing anyone. She just wants to convey to her juniors something she felt through her own activities. She’s saying that while it’s fine to have other dreams, there’s also value in seeing what lies at the end of a longer road. That was Nacky’s message. It often happens that once you join a new company, you soon find that the work was different from what you’d been expecting. I’d guess nine out of ten, the members who quit will later come to regret that decision when they discover how harsh it is to be working at a regular company. Tsunku, too, was saying that when you quit, that’s the end of the game for you. Not losing. Not giving up. Not running away. Believing in yourself. Those are the most important things to do when things are looking bleak. I can’t promise you that your dreams will always come true even if you keep working towards achieving them. But when things aren’t going great and you give up, then that dream of yours will certainly not come true. It’s easy to run away. That’s just one of the things I was thinking about, reading Hama-chan’s interview. I bet lots of people received strength from reading her interview. Of course, I also don’t believe it’s right for me to tell someone “don’t run away!” when they’re in a tough situation — it’s their life after all. But I do wish for everyone to lead a life they won’t end up regretting. This is a message from one senior to her juniors: things might be difficult right now and you might be in a bad place, but there are some things you will only be able to see if you keep at it. 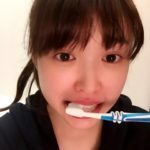 Compared to other idol agencies, H!P lets their stay keep active for a relatively long time, so there are lots of chances to regain your strength as you keep going. (Although there are of course various different reasons that people might quit.) I hope her juniors take Nakajima-senpai’s words to heart. 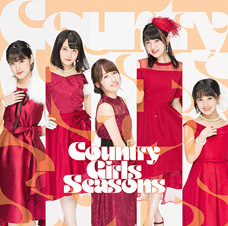 I don’t know if this applies to every group, but at least in °C-ute’s case, I’d bet they had more fun in their last five years compared to their first five years, right? In the beginning, their fans were just this bunch of middle-aged men but then, gradually, their fan base got younger and younger. They got to experience the stages they were performing on getting bigger and bigger. They even got to go perform overseas. This is all stuff they wouldn’t have gotten to experience had they only lasted for five years. I definitely get the members of °C all feeling the way Nacky phrased it. °C-ute got teased for how Berryz got to go on Utaban and they didn’t. They had to keep at it for a long time before they got their acknowledgement. I feel ashamed of myself for quitting four days after starting at a company. People tend to forget this, but this job might not be suited to someone who dislikes constantly having to travel all over the country. I wonder just how many people they saved in these last 15 years? Not every job gives you the opportunity of influencing other people to this extent. I was personally saved by the idol known as Nakajima Saki. I don’t believe I’ll ever come across someone like her again. To the girls themselves… Tsugunaga the pro said it herself: “Idols aren’t allowed to do some of the things ordinary people can. But the number of things we can do which ordinary people can’t is much higher. That’s why I’m happy to be an idol.” I think this is what Nacky wants to say. As long as you don’t give up and you keep going forward on the path you’re on, you’ll get to see things you otherwise couldn’t. She’s saying that throwing away that privilege you’ve been given is a waste. There are so many people who never get to have that privilege. Am I wrong? Well, even if I am, it doesn’t change the fact that Nakajima Saki worked hard up until now. She devoted her youth to us, so I wish people didn’t slander her. You shouldn’t make light of Nacky, not after all she’s done. The thing with H!P these days is that you can see the trajectory of your career, from your debut until your retirement. You’ll be spending every day shaking hands and performing at tiny venues. No matter how hard you work, Budokan is as far as you’ll ever go. They can’t dream big. If the office itself doesn’t change the way it operates, the girls are going to keep quitting. It must be a difficult line of work for people who have lots of dislikes. Even Nakajima is hopelessly shy, and yet she really did her best. There must’ve been so much about the job she didn’t like. The fact that it’s an active H!P member saying something like this must mean it’s a pretty decent company to work for. It’s only once you grow up that you realize how hard it really is to keep doing one thing for an extended period of time. I’m going to remember Nacky’s words the next time I’m feeling down. There’s a big difference. Five is a decent amount of time for an Idol, isn’t it? I mean, 10 years is supposed to be extraordinary. That’s what Berryz said, I think. Kusumi Koharu was in Momusu only 4 years, that’s a decent amount of time. Most Idols don’t last that much. The problem in H!P, in my oppinion is Kenshuusei, they waste their young years there and they are never sure if they’ll debut. I find Kenshuusei very scary, I have some favorites there and some times I think it would be better if they do what Tanabe Nanami did. There’s no gurantee that they’ll debut somewhere else even if they leave the Kenshuusei, just as there is no guarantee that every art student will go on to become a professional painter or every dance student will become a professional dancer. If they’re dead serious about entering the entertainment world there are more benefits to being part of the Kenshuusei program with Up-Front than there are drawbacks. It all depends on what the girl’s wishes are. Honestly, the only thing Tanabe’s group has on the Kenshuusei is the possible fulfilment that she is feeling by being part of it. The group’s songs are, at best, comparable to the bad-ish H!P songs and even Kenshuusei’s concerts themselves put OnePixcel’s concerts to shame if you compare the quality and size of the venues (not to mention the bigger HelloCons in which the Kss also participate). The big drawback is that the Kenshuusei are obviously not a group and so the girls’ participation and recognition get spread really thin. But if the girl’s path is ambitious, her shot is infinitely bigger with the KSS than with a group the size of Tanabe’s. This is an exceptional thread. I’ll keep it close by when times get darker. Thank you for the translation! I think it’s also a matter of economics. Back in the day a solid stint as an H!P idol could get you to tarento status maybe even acting in a drama, these days that seems less likely. I also suspect the scaling down of H!P has hit the remuneration the girls receive. It must surely has reached the level that getting a proper education seems like a far more sensible idea than sticking with the idol business. It’s only after your puberty is over and you slowly are considered a grown-up that you gain more freedom and can hold conversations with the other grown-ups you’ve worked with so far on an equal footing. So of course it’s a good advise for the girls to not quit early. Every idol has their strengths and weaknesses. Some are better singers, some are better dancers………. Nacky’s strength is in her brain. I respectfully disagree. I think that the staff has a better idea of who is ready to debut than the fans. H!P does not have an infinite amount of money and can only hire so much infrastructure. 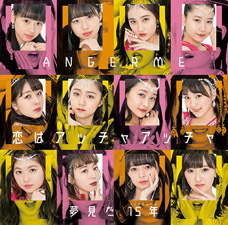 What would happen if fans decided that so many KSS were ready to debut that it overwhelmed H!P’s ability to effectively promote all of their groups? A debut into a group that is a disaster would be worse than a delayed debut into a successful group, in my opinion. And, what would happen if the fans fell in love with a girl who was in no way shape or form ready to debut and they forced her to debut and she was traumatized by how bad she was on stage in concert? 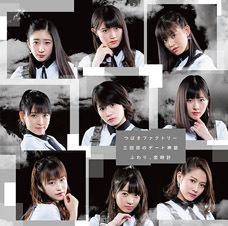 While I agree that H!P staff know better than the fan of who is ready to be debuted, but it depends really. Idol does not have to be good at anything (look at AKB) but if she has enough fan base, she can go on with it. Iikubo Haruna, Ikuta Erina, and Ogata Haruna were never in the KSS. The were all chosen by audition and were all excessively good looking and were all somewhat already in show business (Harunan and Eripon modeled and Haachin was an ice skater). Debuting these three was a no-brainer since even if they couldn’t develop any skills they could still move photobooks. I’m not sure that I have any standards for idols other than they are supposed to make people like them. I am pretty sure that there is one quality that H!P producers do value in auditions: can this girl be coached and will she improve if coached? I don’t think that one can run KSS the same way that one would run XYZ48. The KSS do not waitress and perform daily in a theater. The number of people who follow KSS in Japan is probably less than 1% of the number of people who follow XYZ48. There are not dedicated magazines published to a acquaint people with the KSS. I approve of the idea of the KSS having indi singles, and they do have them. Heck, they even put out an album. And, their singing coach(es) probably had the final say on who got solos. Should they have fan voting to decide on who gets solos on a KSS single? Maybe. But do enough people care? I don’t think it proves the statement at all. Haa-chin, Harunan, and Eri-pon had some popularity outside of the idol world. This was good evidence that their photobooks could be successful. No KSS fans were involved. On the other hand, since H!P is charging the KSS money to train, they should consider any avenue that would help the KSS members expand their personal brand. However, H!P does not have an infinite amount of money. They can’t just release magazines for each KSS. But, I would have no problems if Ichioka Reina’s new group was a KSS group with a revolving membership of seven other KSS members determined by annual election, so long as it was recognized that Reina was the only H!P member and the group was an indi group. Suppose a KSS joins KSS4u8 and performs with them for a year and then does not win the election. Does she go back to being a KSS? Does she join an established group if there is an opening? Does she retire? If the other members are “debuted H!P members” can they contractually go back to being KSS? Also, let’s say that a member of KSS4u8 is doing really great and one of the established groups has an opening that would suit her. Does her membership in KSS4u8 mean that she can’t join? Now if the other seven members are still KSS then all these problems go away. If they are needed by a H!P group then they can go and the KSS with the 8th highest vote total could join. It’s an interesting idea, but there are lots of tricky details to worry about. I agree with resop2. Take, for example, Karin. Imagine a world where she got to debut so much earlier. Maybe in MM, maybe in S/mileage. Would she mesh or mess with the dynamics we got? 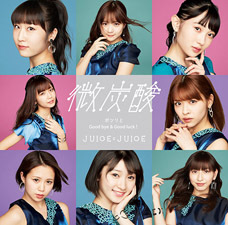 And what would Juice=juice look like without her? There are lot of fans (specially Japanese ones) that believe that Karin not debuting in Momusu was a big mistake, I honestly believe that we cannot say that it would have been a terrible decision or the best decision ever if they had debuted Karin earlier been Momusu or any other group or even a new group back then, but I do think that delaying her debut affected her popularity at least with foreign fans, because when she debuted she was already too perfect and here people love to see girls like Maa-chan or even OdaSaku steadily getting better and prettier and developing this ace vibe around them before you know it. 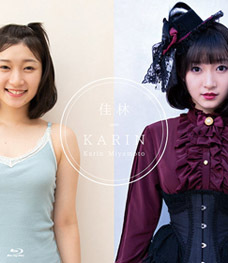 I think that Takeuchi Akari is happy that Karin didn’t make S/Mileage … (my own fan theory that Karin is an Akari stalker). I think though that seriously, they were looking for strong dancers for S/Mileage gen 2 (I think that Kana got in because they needed an Osaka character). As for Morning Musume, I never thought that she had the look for it. I can’t explain it well, but maybe she isn’t approachable looking (too good looking) or not tall enough. I know it stunk for Karin to be a rounin for all those years, but when she did debut she was definitely ready. Agree with Nacky’s point but 5 years is probably a bit too long for teenagers, who are in the stage of finding themselves. People change you know. 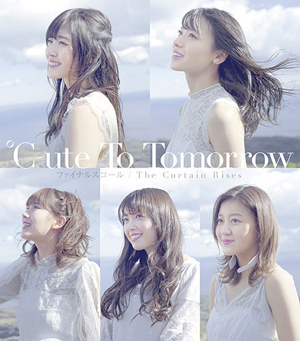 If c-ute needed to wait a year longer before launching their first indie single, most of the girls might have quit even before that. I think her message directs more toward KKS, but then again, most of the KKS girls have to wait far more than Nacky to get debut. H!P is not that big for more than a decade already. Imagine yourself working at the lowest staff level of this company, how long for you to work before looking for other things to do. If anything, Kaede is probably more suitable to send this message to others, after waiting 4 years in KKS and finally succeed. KKS members also need to improve themselves too, not in term of skills but charisma. I honestly do not question why Kaede needs to wait that long when you her on stage side by side with Yokohama. Her charisma is still lacking. Things like this can’t be trained I supposed. All the rest of KKS need to question why Yokohama took only 2 months before her debut. WorldGN18: Maybe you wish is coming true? Ichioka Reina will lead a new group of KSS. What if H!P follows your suggestions and makes Reina (3)’s new group an eight girl revolving group chosen by a yearly election from the KSS? They could be called KSS8, or All Kss Booooy! LOL, 1 year is definitely too soon, but I think five years is at least a pretty good amount of time for us fans to enjoy the presence of a favorite member… But yeah, if you look at the opportunities that open after being a member more than 5 years I guess Nacky has a point. Anyways, 2 or 3 years should be the minimum, but we have to respect the girls’ choices either way.